What’s the Project? 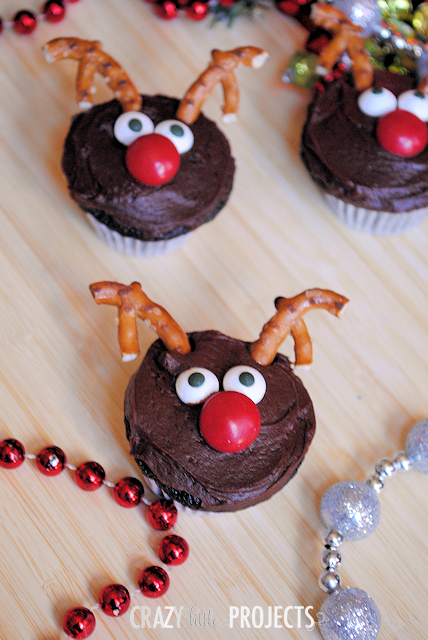 These cute reindeer cupcakes are a cute and fun project to make with the kids for Christmas this year. They will love making these little guys and they taste great too! I made mine mini sized because I thought it was cuter that way, but you could also do full size. Either way works. 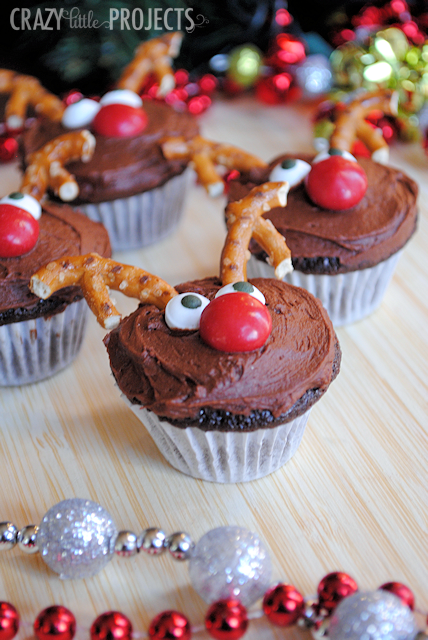 Now if I were a young mother with kiddies in school, I would definitely be sending these to the classroom Christmas party! So cute! These are adorable, Amber! 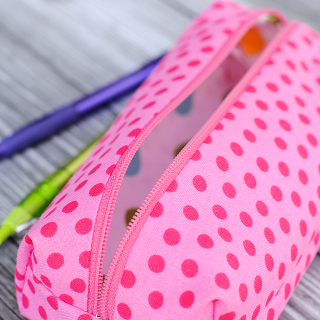 These would be so fun for kids to make for their classes in school!